EC384Ganesh and Om coin charm is double-sided earrings. 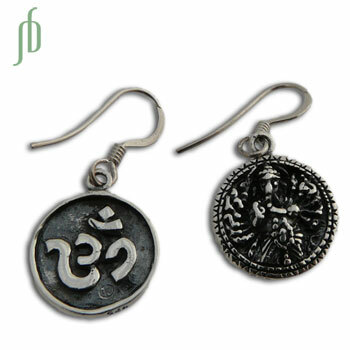 A unique design with a traditional style ganesh on one side and classy aum on the other. Ganesha is the bestower of wisdom and remover of obstacles and Om means universal truth.